A controversy had erupted when the new government discontinued the practice of government employees singing ‘Vande Mataram’ on the first working day of every month at the secretariat. Bhopal: Madhya Pradesh Chief Minister Kamal Nath on Thursday hit back at the Bharatiya Janata Party (BJP) on row over Vande Mataram, saying the party ‘which doesn’t have a single freedom fighter should not teach us nationalism’. Speaking to reporters on Thursday, the chief minister said, “I’ve been saying from the start that I’ll give it a different look, I’ve announced it today. BJP, which doesn’t have a single freedom fighter, should not teach us nationalism.” His statement came a few hours after the Madhya Pradesh government, following a controversy, on Thursday decided to restore singing of ‘Vande Mataram’ at the state secretariat from next month, but in a new avatar by roping in a police band and local citizens besides adding the national anthem in the exercise. Vande Mataram was not sung at the Secretariat on January 1, snapping a practice that was followed for 13 years and had been started by the previous BJP government. After facing criticism from the BJP over the discontinuation of the practice, the Kamal Nath government, which took charge in December, has now decided to restore the exercise in a new form from February onwards. 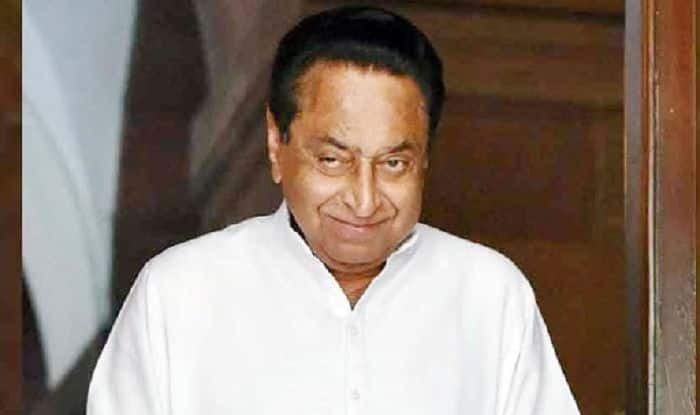 After the row, Chief Minister Kamal Nath had said his government was not opposed to the singing of the national song and it will give a different touch to the practice. Former BJP chief minister Shivraj Singh Chauhan tweeted that the new government has been forced to restore the practice under public pressure, but the state wants to know whether Congress president Rahul Gandhi was behind the earlier decision or it was decided by Kamal Nath alone.